Today see’s a first for this site as we recently completed an interview with Indycar racer Pippa Mann. For the die-hard motorsport fans that don’t know of Pippa Mann, she is a British racer who rose up through the junior single-seater ranks in both Britain and Europe, eventually spending two years in the highly competitive Renault World Series. Despite becoming the first female pole sitter and points finisher in the series her two years in the series were largely frustrating with issues beyond her control. This severely derailed her career momentum in Europe, before she embarked on a career in the American open-wheel racing scene. 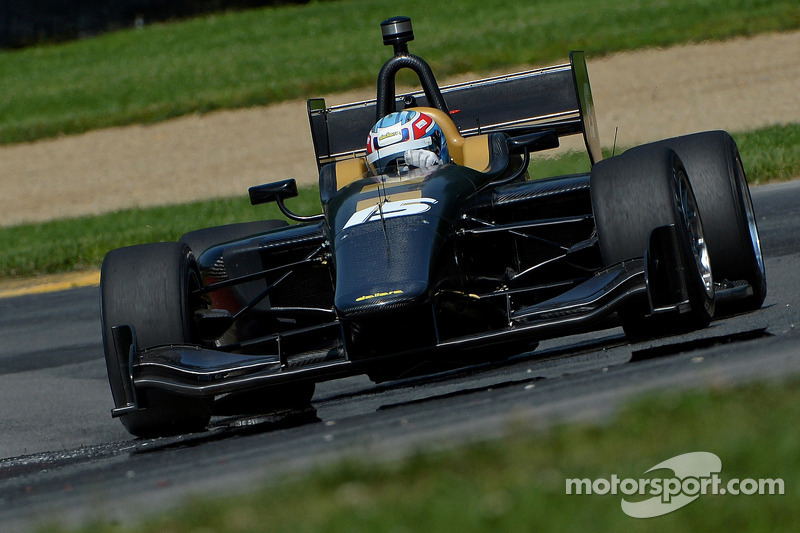 After rising through the ranks she began to show promise in her second year of Indy Lights. 2010 saw her become the first female pole-sitter at the hallowed Indianapolis Motor Speedway, before picking up a debut win at Kentucky to finish 5th in the standings with a highly respectable 312 points. From here she carried her career momentum over to the premier Indycar series, where she qualified for her debut Indianapolis 500, despite a competitive field and a small team. From here she has carried on her momentum with successive part-seasons in 2013 and this year, making the Indy 500 both years. She has yet to display her full potential in the Indycar series, although that is down to unfortunate circumstances rather than a lack of talent. Here is the interview in full. What made you decide to switch your career to America? In 2008, I was going into my second year in World Series by Renault, and I had really started to get to grips with the car and the formula towards the end of the previous season. I was strong in the off season testing, and everyone, myself included, expected me to have a very good year the following year. But the new car for 2009 and I just didn’t mesh at all. 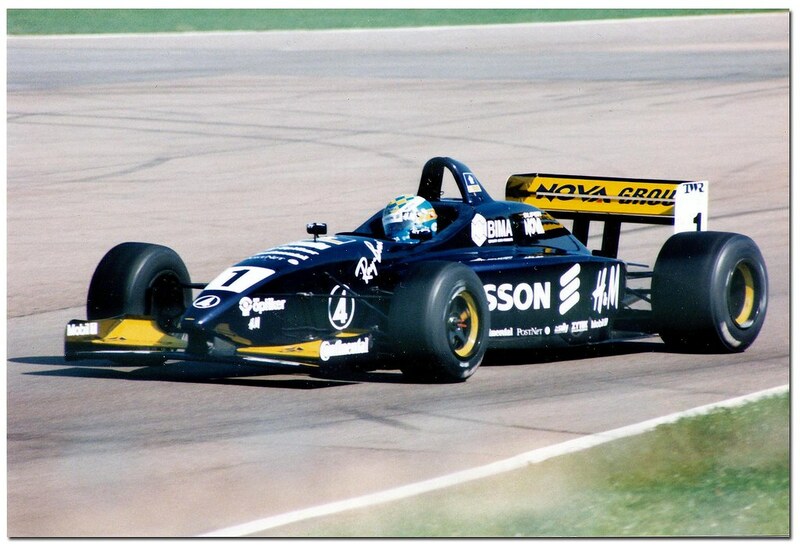 From ergonomic problems I had fitting into it, to the fact it just didn’t suit my driving style with the set-ups we were running on the old car. It took me all year to start to get comfortable again, and that meant that I just didn’t bring home the results I wanted. I was frustrated. I knew I had probably lost my opportunity to continue racing single-seaters in Europe, and I started looking to potentially race sports cars in 2009. I started to race a Porsche in the UK Cup Championship, and by my second and third race weekends, I was up in the top 10 of that championship on pace on a regular basis and starting to have a lot of fun. I thought my future was probably set, but then I got a call, asking me to come to the US and meet with a team, who were looking for a female driver for one of their sponsors in Indy Lights for the following season. 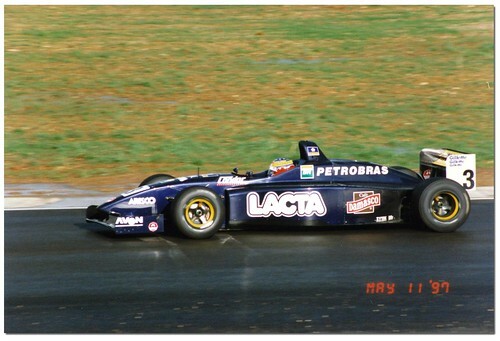 They had looked at who was racing currently in the US, then decided to cast the net wider to include Europe, and when they did that, I was the only one at the time who was racing in any of the big open-wheel championships in Europe. Given at the time I was the only female driver to have a pole in World Series by Renault, to have scored points and top ten finishes in some of their races, they were interested. So I packed a bag, got on a plane, and I guess the rest is kind of history now! What has been your racing highlight so far in your career? I think it probably has to be qualifying for the 2011 Indy 500. It was my first ever IndyCar race, and I had just one day of testing before we started running at the speedway with everyone else. I was with a small team, expanding from one car to two cars, and my team mate was struggling in his first full-time season of IndyCar, leaving my team boss worried he might not make it into the race. There were 42 cars competing for 33 slots, and my job was simple. I was there to make sure we got at least one of our team cars into those 33 spots however long the odds against us seemed… We made it. Just. I was the only one-off rookie attempting their first IndyCar race at that Indy 500 to make it in. Several full-time drivers racing all season long, including my own team mate, did not make the show, and yet with our shoe string budget, and two to three guys only working on the car, we made it happen. It’s probably not a highlight that other people expect me to think of, they expect me to talk about my poles in 2010, or winning Kentucky in that year, or even my first Indy 500 itself maybe… But all of those pale into the fact I was not only in my first Indy 500, I earned my way in the hard way, and together we were the little team that could. What has been the best race of your career so far? This is a tough question! The easy answer is winning Kentucky in 2010 in Indy Lights, but actually, despite not being a race that many people outside the team would notice, I think the 2014 Indy 500 was pretty special too… We had an issue at one of the pit-stops that put us several laps down at my second pit stop, but the car was fantastic all day long, and I learned so much from the fact we got back out there, and I was able to run in dirty air for the entire rest of the 500 miles. The guys I was racing against in the first two stints of the race finished 12-17th place, and our goal going in was to try and bring home a top 15 finish. Given our pace was on a par with theirs even after our stop issue, and I was actually still running with that group all afternoon long, just laps down and unable to play – it didn’t come away looking like much on paper, but we as a team were all really pleased with everything but that one bum pit stop during that race. Then of course the 2011 race itself being my first Indy 500 was pretty special to me too. I actually didn’t have a working water bottle in that race, and was pretty badly dehydrated – I was having searing cramps all up and down my right arm, and particularly in my right shoulder from where you’re muscling the car around the track, but I was absolutely determined it wasn’t going to stop me, and I was going to finish the race in my rookie year. I came 20th. Have you started looking at your 2015 plans yet? E.g talking with teams? Yes, absolutely! I think it’s no secret to say that Dale would very much like me to come back in 2015, and I would love to drive for him again too. His team has been the most incredible home for me the past two years at the Indy 500, and I really enjoy working with the great group of people he has put together. Susan G. Komen also had a great experience this year at their first Indy 500, and they want to come back with us too, so the plan is to bring the pink car back for it’s second Indy 500. Right now I am working hard on the business side of that equation, so that we can put the funding in place to make this all happen! What inspired you to become a racing driver? Actually it was pure chance. I got to drive a go-kart on an indoor kart track when I was around 12 years old, and absolutely loved it. That was it. Bitten by the bug, and I’ve never looked back since! 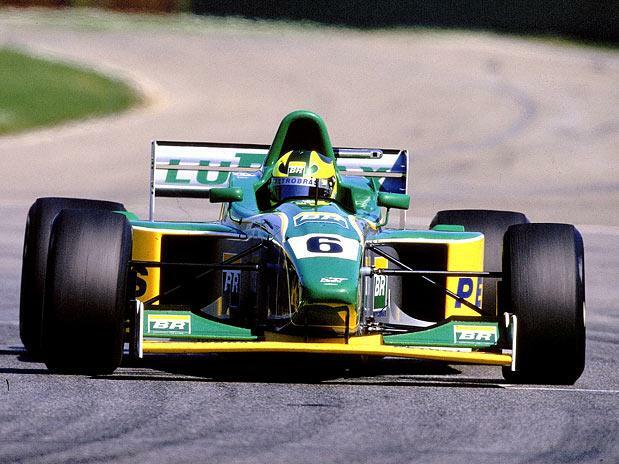 What are some of your earliest memories of motorsport? Being taken to watch the British F1 race with my Dad at Silverstone, and watching the standing start from the grandstands opposite the front straight. I was a race fan long before I ever got to drive anything, or the thought that I could one day drive had even crossed my mind. What advice would you give to aspiring drivers? Be determined. Learn the business side, and be just as determined in that too. Don’t let people tell you you’re not going to be able to make it happen. Expect to work really hard, and expect it to be hard – for most of us this life is not easy, and you have to be prepared to bust a gut 24-7 on the business side, always put time and effort into being prepared physically for when the next opportunity comes your way, and you have to be very strong mentally too. There may be times when you’re out of a race car for long periods of times in your career, but you just have to keep digging, keep adapting, and be prepared to take on other work and diversify (such as instructing, coaching, etc.) to survive. Would you ever be tempted to race in other forms of motorsport e.g Sportscars? Oh absolutely. I think I mentioned earlier on in this interview that I got to race a Porsche a few times in the UK before I moved to the US, and I have never had the chance to drive a GT car since, but I had an absolute blast in those races – it was so much fun. If the opportunity arose, I would love to do some sports car races alongside my commitment to the Indy 500 each year, however with the current licensing system, it’s very difficult for someone like me to get those opportunities. In terms of license grade I am ranked the same as someone who races IndyCar full-time, and has multiple IndyCar wins under their belt… Yet I only get to race a couple of times a year in open-wheel, usually only on ovals at the moment, and I only have those few races in a GT car in the UK under my belt… So if you were looking at taking on someone with my high a grade of license, you probably wouldn’t pick me! It’s something a lot of drivers in my position, or similar positions to me in the US are facing right now, and to be honest, it’s something even some of the guys who are coming up through the sports car ranks themselves are facing. I understand why there needs to be a licensing system to make it fairer to the AM drivers who fund a lot of sports car teams, but at the same time, I do wish there was a little more flexibility in the rules. There’s an awful lot of us who would love to race, and who could do a good job, falling through the cracks with this current system. If you could compete in one motor race that you haven’t already which one would it be? Ooooh. Good question. I guess I would love to compete in one of the big 24 hour sports car races one day – either Daytona, or Le Mans. That would be pretty special! Why do you feel there has been a recent spike in European interest for Indycar/Road to Indy scheme? Drawing from my personal experience, and from recent conversations I actually had with European drivers when I visited Monza to watch the F1 race a few weeks ago, I think that often there is a lot of fear surrounding the unknown that is racing in the US, and racing on ovals in particular. In Europe, you seem to race a lot of the time thinking you’re in a bubble where sure, motor sport is dangerous, but nothing’s ever going to happen to you… In the US, with the speeds we race, so close to the walls, you can’t live inside that bubble any more, and you have to accept that our sport can be brutal at times. Not everyone can do that, and I think it takes a lot of people some time to get past that mentally. We strive to make our racing as safe as it possibly can be, but when something goes wrong at 220+ mph next to a wall, it’s unfortunately just physics that sometimes it can go really wrong. So I think that scenario, plus the fact guys find it so hard to believe that we’re cornering faster than they often go in a straight line, makes it tough for Europeans to get their head around. Combine this then with the old thing that someone who hasn’t driven an oval, and doesn’t understand one, thinks “it’s just too corners, how hard can it be?” and you get this odd juxtaposition of opinion surrounding what they don’t really know, but what they think they know about our sport here in the US… For years I think these opinions have all contributed to lack of interest, and not many people being prepared to take the leap. However recently I think there have been a number of European drivers who have come across and made the transition well, and whom are happy to talk about how much they love IndyCar. I think someone like Conor Daly running the Indy 500 last year, then going back and telling all of his fellow drivers in the series he was racing in Europe a) how much he loved the experience, and b) how hard it actually is to race a car for 500 miles at those speeds in constant dirty air, and how incredible the challenge is… I think that helps educate, and as people start to understand better, there’s less fear of the unknown. Then right now in the US, we have something which does not exist anywhere else in the world in terms of a concise, direct open-wheel ladder, where every champion gets help towards his crack at the next rung on the ladder. With the new Indy Lights car coming out in 2015, a much needed upgrade on the previous car I raced, that chassis is suddenly much more in line with what European guys have been racing. The costs are still cheaper than most comparable series in Europe, and with the new championship prize rules, if you win, you’re effectively guaranteed a shot at next year’s Indianapolis 500 in an IndyCar through the prize money scholarship scheme, and potentially a few more races tacked onto that depending on the team, and what other money you’re able to put together too. If you win the GP2 title, there are no guarantees of anything. 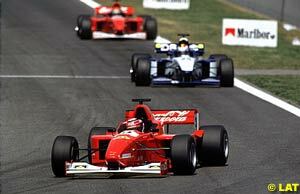 In fact most recently Kevin Magnussen came from World Series by Renault, which I used to race, and by passed GP2 altogether on his way to F1. The ladder in Europe is complex, expensive, and winning the title lacks giving you that final push you really want from it. Here, winning means more than getting to write it on your resume. It means that shot I was talking about at the biggest race of the IndyCar season. That’s a pretty massive prize and incentive right there. I know this is a long answer, but I also want to touch on one final thing before I quit talking about the ladder series. I think it’s very important for people looking at coming over from Europe to IndyCar and the MRTI ladder to look at Indy Lights before IndyCar. My reasoning? Learning the ovals. Learning them in an IndyCar is very hard, and for many drivers who come across it’s a very difficult and tough transition. However, a season of Indy Lights gives you the opportunity to really get your head around them, and start to get your teeth into them. For the record, as the girl who is currently the only female pole sitter ever at IMS, I certainly didn’t do that in my first year, and I didn’t win a race on them in my first year either. It took me two years to get comfortable, to learn what I needed from the car, when to push, and when to understand that just doing what you could with what you had was going to be the best decision for your race result. And now, I’m in a position where ovals are viewed as my strong point, and it’s where most of my opportunities to drive an IndyCar come from. If I had tried to rush things, and get ahead of myself, I’m almost 100% certain I would not currently have the opportunities I do to get in the car each year, and so I will always be very grateful for everything Indy Lights has taught me! That was an amazing interview with British Indycar racer Pippa Mann, she provided some brilliant answers and for more info on Pippa’s latest news and goings on please visit her website http://www.pippamann.com or Twitter account @PippaMann . Please enjoy these great answers! After the inaugral Grand Prix of Indianapolis marked the first time the series had raced on the Indianapolis road course, attention shifts now to the most famous hunting ground for American open wheel racing, the Indianapolis 500. Immediately after the Grand Prix last Saturday the paddock has swapped the road course for the hallowed oval as the rookie orientation and practice began this Monday. This week’s practice so far has seen a slow increase in speeds every day as the teams and drivers fine tune their cars and get increasingly comfortable with the unique oval. The week’s only drama so far has been off-track as leading team Andretti Autosport were forced to draft in previous driver E.J Viso to replace James Hinchcliffe, who was ruled out of practice this week as he recovers from a concussion suffered during last weekend’s road course Grand Prix. This race is sure to throw up plenty of surprises therefore predicting a winner will be almost impossible, however let’s start this preview by looking at the front runners from the 2014 Indycar season so far team by team. So far his 2014 return to the Indycar series has been mixed for the high profile Montoya, who has shown tremendous promise yet has struggled to turn these into decent results in the opening four races. His sole top 5 run so far was a 4th place at Long Beach as he currently sits 15th in the points, something he will undoubtedly improve on over the course of the year. Despite the frustrating start he’s still a contender for a repeat of his dominant 2000 victory in the 500 as the Penske team seem to have a competitive package for the 500. Therefore Montoya will be a useful outside bet for a competitive run next Sunday. With this weekend’s qualifying now complete Montoya impressed with a top 10 starting slot with a solid 231mph run, putting him in a good position for Sunday’s race. Castroneves has carried his title challenging form from 2014 across into the new season as he has managed 2 podiums from the opening 4 races, putting him 4th in the points going into the 500. Things are not all rosy however for Castroneves as he is already 47 points behind team mate Will Power and therefore Castroneves will surely be looking to close the gap on Power, especially with this being a double points race also. Castroneves is always a contender at Indy and is the only active driver to have won the race 3 times, (2001,2002 and 2009) and can therefore never be discounted as he looks to become a 4 time winner of the great race. Castroneves starts 4th after qualifying with a close 230mph run in the fast 9 shootout for pole. Power has bounced back from a disappointing 2013 season to currently lead the points standings after a dominant win at the opening round at St Petersburg, before backing that up with solid point scores in the other 3 races. It appears he will be the pre-race favorite based on his early season form however he has not completely dispelled the myth that he’s a weaker oval racer than he is road course driver. This myth appears to be the only knock on him going into the event with it all depending now on whether Team Penske can work their Indy magic again this year and deliver Power a car he can run to victory lane. This definitely appears to be his best chance of victory yet in his 6th attempt. Power impressed by qualifying 3rd, the highest Penske runner too at 230.6mph. Andretti is undoubtedly the most famous surname in American road racing and the latest Andretti Indycar driver is Michael Andretti’s son Marco. So far in 2014 Marco’s showed himself to be one of the leading Andretti Autosport cars as he currently sits 7th in the drivers standings and will along with Castroneves be looking to close on leader Power with a good result here. Marco would also like to earn some redemption for the Andretti curse at the 500 whereby despite an abundance of talent both granddad Mario and dad Michael were only able to win the 500 once between them. Andretti starts a close 6th after a 230.5mph run in the final fast 9 shootout last Sunday. One of the more high profile entries for this year’s 500 is Nascar bad boy Kurt Busch, who attempts to become only the fourth driver in history to complete the double of competing in the Indy 500 and the Nascar Coca-Cola 600 later that evening. The announcement of Busch has certainly raised the profile of the race however it must be remembered he’s a rookie and expectations should be kept in check for his race performance. He has shown himself to be a very talented Nascar driver and it will not be a major shock to see him impress in the 500. Busch can be satisfied with his qualifying performance as he starts 12th, the fastest of the rookies, with an impressive 230.7 mph run. 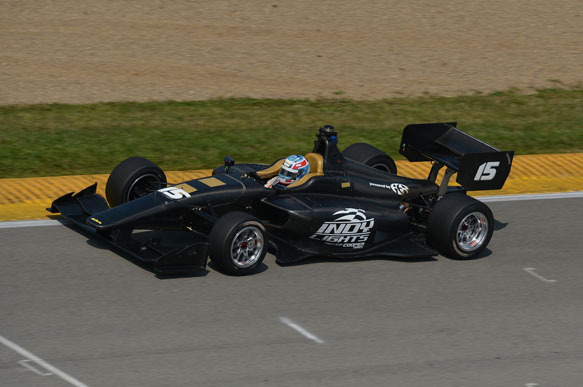 Jovial Canadian James Hinchcliffe could not have had a worse first week of practice for the 500 as he has been ruled out of most of the sessions as he recovers from a concussion in last weekend’s Grand Prix on the Indianapolis road course. The poor weather has also been against him as a lot of the recent sessions have been affected by rain and subsequently curtailed his running. Hinchcliffe is a rising star in Indycar however and despite the poor build up will always be a contender for victories in his current form. Hinchcliffe expertly bounced back from his lack of running so far to answer the critics with a very impressive qualifying run which puts him in the middle of the front row in 2nd for Sunday with an outstanding 230.8mph run. 2014 has been an contrasting year for 2012 Indycar champion Ryan Hunter-Reay, as he has already taken two podiums including a win at Barber Motorsports Park, yet he also annoyed most of the paddock with his reckless passing attempt at Long Beach which eliminated/delayed the majority of the drivers. Despite this he goes into the Indy 500 3rd in the points and will be hoping to take a first win in the 500 to strengthen his title challenge. Qualifying did not go well for the former champion however as he starts a lowly 19th. Some comfort can be taken however as much like sportscar racing the ultimate qualifying position has little significance as Hunter-Reay could easily claim victory from here, it simply makes his job a lot harder come race day. Watch out for Hunter-Reay on Sunday. Carlos Munoz will be looking to go one better than his very impressive run to 2nd in last year’s 500 in his debut Indycar race. His impressive run which saw him challenge for the win all race and in fact lead 12 laps himself rightly resulted in him receiving the rookie of the year honors last year. After finishing 3rd in the Indy Lights series last year Andretti Autosport rightly promoted the rookie Colombian Munoz to a full time ride in 2014, with impressive results so far with a podium in Long Beach leaving him 10th in the points going into this weekend’s big race. Munoz immediately carried on his 2013 form with a 7th place qualifying spot putting him in a good position going into the race. After a truncated 2013 Indycar season Ryan Briscoe returns to the series in 2014 with top line team Chip Ganassi racing. 2014 has so far seen a solid start from Briscoe who currently lies 9th in the standings going into the Indy 500. The Ganassi outfit are a powerhouse Indycar team and can always be relied on to give their drivers top line cars to challenge for victory. Some work clearly needs to be done to Briscoe’s car however after a difficult qualifying session which saw him fall to 30th on the grid leaving him a lot of work to do in the race if he is challenge for a top 5 result which could really kickstart his season. Scott Dixon cemented his place amongst the Indycar greats by clinching his third Indycar title in 2013, ten years after his first. Dixon however has a slightly less impressive record at Indianapolis as he has only won the 500 once, in 2008. 2014 presents another opportunity for him to rectify this as he looks solid if unspectacular going into the 500, with two top 5 finishes putting him 6th in the points. Qualifying was not so good for frontrunner Dixon who only managed 11th on the grid, yet there will be plenty of time for him to work his way to the front once the 500 mile race starts. Despite the qualifying position Dixon is still a contender for victory. After finally realizing a dream by finally winning the Indy 500 in 2013 after many years of trying, things got even better for Kanaan as he signed with Chip Ganassi racing for the 2014 season. After unfortunate circumstances which curtailed hallowed Scot Dario Franchitti’s career, good friend Kanaan has been promoted to drive the famous #10 Target Chip Ganassi Racing entry in 2014. It’s been a slightly rough transition so far as Kanaan is yet to achieve a top 5 finish and currently lies 13th in the points. Form matters little to Kanaan however as he will be guaranteed to do everything he can to repeat his 2013 victory in the 500. A 16th place starting slot is not ideal for Kanaan but for this racer it provides the perfect storyline as he will look to avoid trouble and carve through the pack to claim repeat 500 victory this year. After a breakthrough year in 2013 as Kimball claimed his 1st Indycar victory, he will be slightly disappointed therefore with his start to the 2014 season as he sits 16th in the points after the first 4 races. Things don’t appear to have improved so far as like team mate Briscoe Kimball struggled in qualifying, winding up 26th on the grid for the 500. As I’ve previously stated however grid position isn’t everything and with a slick Ganassi crew behind him expect Kimball to make up places and a top 10 finish is easily possible for this talented American.